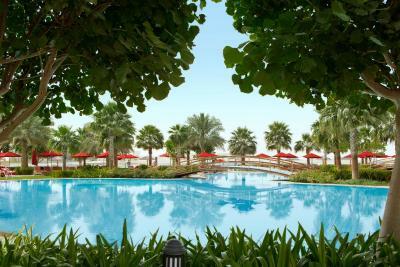 Lock in a great price for Khalidiya Palace Rayhaan by Rotana, Abu Dhabi – rated 8.9 by recent guests! Excellent location, very clean, convenient. Great pool. Beach was kind of a let down. The breakfast was not very good, very crowded with average food. We ended up not eating there two out of the four days. Asked them if we could eat lunch instead and no one got back to us. Overall still a very good choice due to it’s location. Location was ideal easy to find and lots to do in the surrounding* area . The check in process was so easy. Because we had to wait for the room to be finished we received complimentary drinks and an extended/late check-out process. I’m not too sure what I was expecting from the hotel from the start but I always to try to go somewhere and have an open mind. I can say that I have TRULY enjoyed my stay and that the staff was great. A special shoutout to Dammy and Mary who helped to make the dining experience top notch. 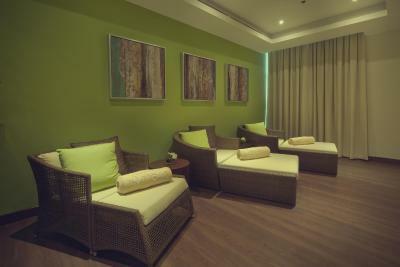 I liked the room service, the friendliness, the cleanliness everywhere, the child care and special attention given. wonderful hotel with very nice rooms, restaurant and pool. The staff is very friendly and the atmosphere is excellent. I like the view from my room. The bed was comfortable. A really nice stay. Large pool area with plenty of space to lie down. Nice beaches. Very good Arabian restaurant with excellent local food. Very nice view from our room on the palace. -The view of the sea. -Too clean room in general. -Many facilities. 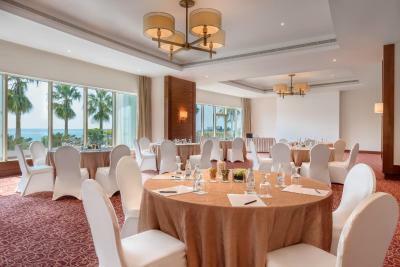 Khalidiya Palace Rayhaan by Rotana, Abu Dhabi This rating is a reflection of how the property compares to the industry standard when it comes to price, facilities and services available. It's based on a self-evaluation by the property. Use this rating to help choose your stay! Cast away in the turquoise waters of the Arabian Gulf Sea and conveniently located near the breath-taking Presidential Palace, Khalidiya Palace Rayhaan by Rotana is the first property to open in Abu Dhabi under Rayhaan Hotels & Resorts by Rotana brand. The 5 star property offers 443 splendid rooms and suites with their modern design complementing the values of the contemporary Arabian culture, in an alcohol free environment. Our guests will surely enjoy the wide range of activities around our stunning pool and private beach proposed by our qualified Recreation staff. 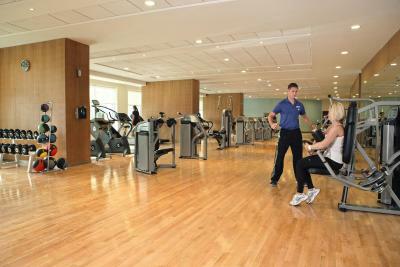 Our Bodylines Fitness and its team of specialists will make sure to keep you fit and healthy at all stages of your stay. 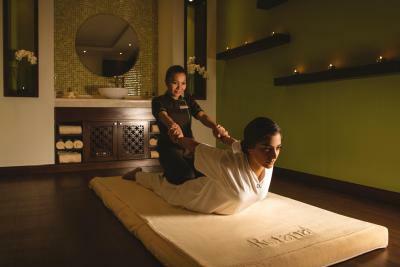 Our new Wellness and Massage offers the ultimate relaxing experience with various signature face and body treatments provided by our therapists. 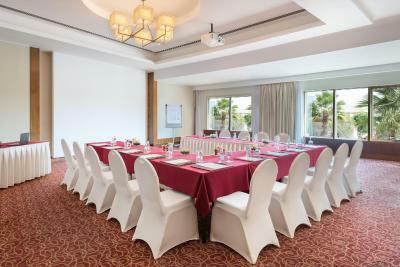 Our six meeting rooms will provide business travelers with everything they need to conduct successful events and conferences. 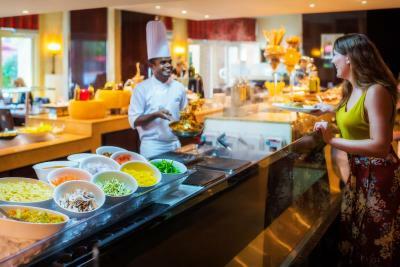 A true culinary journey awaits at our restaurant outlets to satisfy your taste buds. 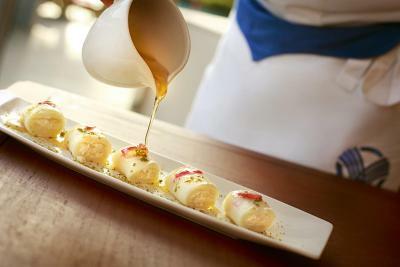 Facing our relaxing pool, Kamoon invites you to experience authentic Arabic flavors while Horizon, our All-day dinning venue, welcomes you to rediscover the international Cuisine in a contemporary and elegant atmosphere. 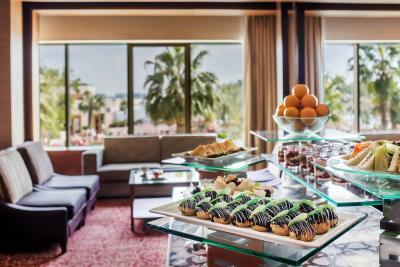 Located in the lobby, The Lounge offers light meals, irresistible sweet delights with diverse coffee aromas and healthy refreshments to savor while facing our stunning pool view. Khalidiya Palace Rayhaan by Rotana is a 10-minute drive from Abu Dhabi International Exhibition Center. Al Bateen Airport is a 25-minute drive away while Abu Dhani International Airport is a 30-minute drive away from the property. 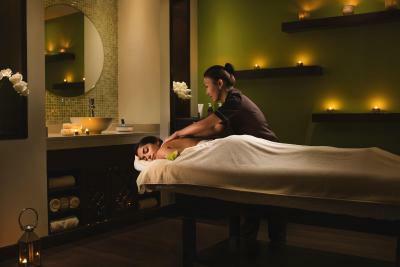 When would you like to stay at Khalidiya Palace Rayhaan by Rotana, Abu Dhabi? Our Classic Rooms with balcony are 50 sqm and decorated in warm colors and feature modern furnishings with two twin beds, sitting area and writing desk, private bathroom with bathtub and walk-in shower. Enjoy your staycation with a beautiful Presidential Palace view. Walk in to our over 55 sqm Premium Rooms and enjoy the marvelous Presidential Palace or stunning Arabian Sea view. Each room consists of of one king bed, a private bathroom with bathtub and a walk-in shower, visitor wash room (from the 10th floor), separate sitting area with sofa & coffee table, an open plan dining area plus kitchenette (from the 10th floor). 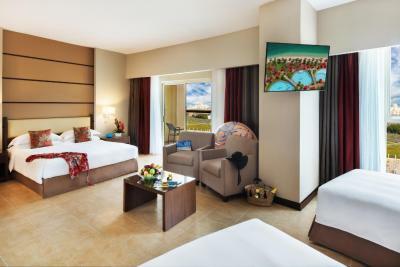 Each Premium Room with balcony is over 60 sqm and features a vibrant modern style with a space to work and relax. All rooms are consists of one king bed, private bathroom with bathtub and a walk-in shower, visitor wash room (from the 10th floor), separate sitting area with sofa & coffee table, dining area and kitchenette (from the 10th floor). 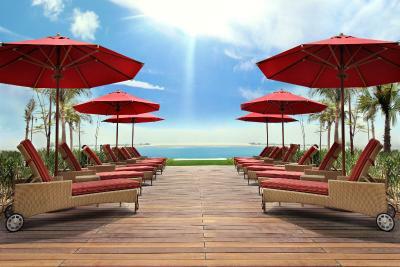 Enjoy your staycation with a breathtaking Presidential Palace view or stunning Arabian Sea view. 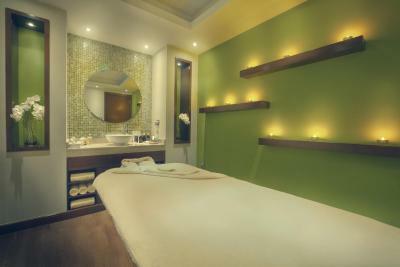 Relax and luxuriate in one of our Classic Suites. This modern-style suite covers 65 sqm, consisting of of a separate bedroom with a king bed in classically elegant accommodations with comfortable living area, private bathroom with bathtub and a walk-in shower and visitor wash room. All our Classic Suites are facing the marvelous Presidential Palace view or the stunning Arabian sea view. 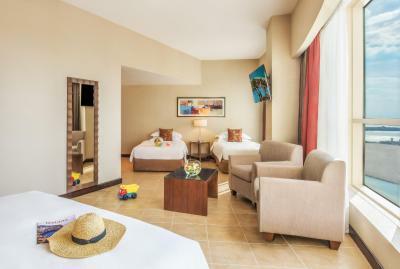 Treat yourself right and stay in our Premium Suites. All modern-style suites covers 72 sqm consisting of of a separate bedroom with a king bed and private balcony with stunning Arabian Sea view. It offers a walk-in wardrobe, a spacious living room with a sofa set, a kitchen, an open plan dining area for four, a stylish and spacious working desk, an private bathroom with bathtub and a walk-in shower and separate visitor wash room. Our spacious 2 bedroom suites with marvelous Presidential Palace or stunning Arabian Sea view covers 120 sqm and consists of of two separate bedrooms, a kitchen and an array of exclusive amenities. The master bedroom features a king bed while the second bedroom has two twin beds, walk-in wardrobes, private bathroom and separate visitor wash room. Our Classic Rooms with balcony are 50 sqm and decorated in warm colors and feature modern furnishings with one king bed, sitting area and writing desk, private bathroom with bathtub and walk-in shower. Enjoy your staycation with a beautiful Presidential Palace view. Our majestic two bedroom suites with a private balcony are specially designed to feel at home. The two bedroom suite is 125 sqm and offers two separate bedrooms, a spacious living room area with dining table and a kitchen. The master bedroom features a king bed while the second bedroom has two twin beds, walk-in wardrobes and private bathroom and separate visitor wash room. 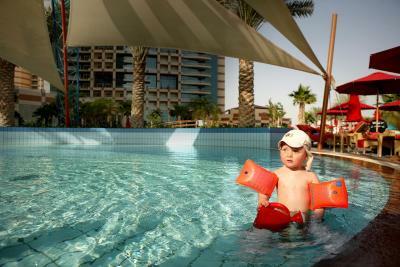 Enjoy your staycation with a breathtaking Presidential Palace view or stunning Arabian sea view. Spend a treasured time in our 50 sqm Classic Rooms Plus with a stunning Arabian Sea view from your balcony. Each room is furnished with one king bed, sitting area and writing desk, private bathroom with bathtub and walk-in shower. 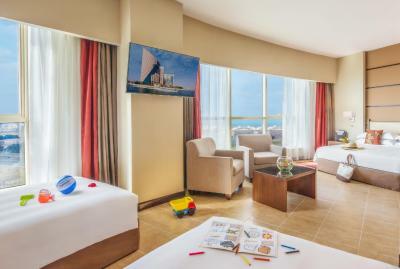 Spend a treasured time in our 50 sqm Classic Rooms Plus with a stunning Arabian Sea view from your balcony. Each room is furnished with two twin beds, sitting area and writing desk, private bathroom with bathtub and walk-in shower. 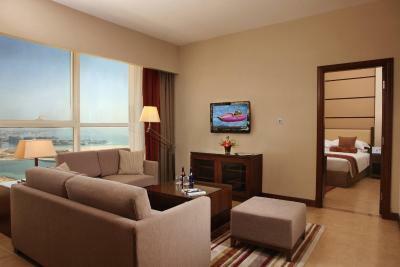 Enjoy maximum value and luxurious relaxation in one of our Premium Rooms Plus with a stunning Arabian Sea view. The over 60 sqm rooms with balcony are decorated in warm colors and features one king bed, private bathroom with bathtub and a walk-in shower, visitor wash room (from the 10th floor), separate sitting area with sofa & coffee table, an open plan dining area plus kitchenette (from the 10th floor). Stay in our comfortable 45 sqm Classic Rooms, which offer the latest in-room technology and are furnished with king & two twin beds, sitting area and writing desk, private bathroom with bathtub and walk-in shower. All rooms are facing either city view, breathtaking Presidential Palace view or the stunning Arabian Sea view. 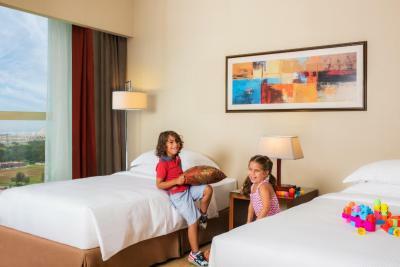 Spend your family staycation in our Family Rooms with balcony which covers 55 sqm and are tuned for all your needs as family. All rooms facing the marvelous Presidential Palace are furnished with one king and two twin sized beds, sofa chairs, private bathroom with bathtub and a walk-in shower, visitor washroom, coffee table and kitchenette. Cast away in the turquoise waters of the Arabian Gulf Sea, Khalidiya Palace Rayhaan by Rotana Abu Dhabi is the first property to open in Abu Dhabi under Rayhaan Hotels & Resorts by Rotana brand. The 5 star property offers 443 splendid rooms and suites with their modern design complementing the values of the contemporary Arabian culture, in an alcohol free environment. 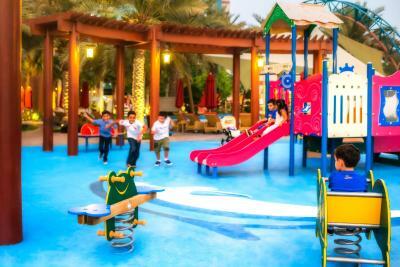 House Rules Khalidiya Palace Rayhaan by Rotana, Abu Dhabi takes special requests – add in the next step! Khalidiya Palace Rayhaan by Rotana, Abu Dhabi accepts these cards and reserves the right to temporarily hold an amount prior to arrival. Please note that an additional deposit will be required upon check in to cover incidentals charges. All guests must show a valid photo ID and credit card upon check-in. If you are not the owner of the credit card used to make the reservation, please contact the hotel in advance. Contact information can be found on the booking confirmation. Please inform Khalidiya Palace Rayhaan by Rotana, Abu Dhabi of your expected arrival time in advance. You can use the Special Requests box when booking, or contact the property directly using the contact details in your confirmation. We had difficulty finding beach chaise lounges by the beautiful pool as the hotel was fully booked but someone from the pool team found us some and dragged a beach umbrella in no time. 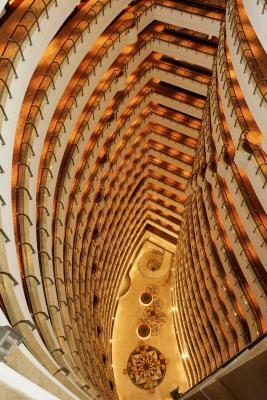 The 20+-storey atrium is absolutely beautiful. It is conveniently very close to the Presidential Palace, the Emirates Palace, the Emirates Towers and the Corniche, all of which we intended to visit. There were going to be 3 of us in the room and we were upgraded to a Family Room, which was very nice of them, making our stay very comfortable. The beach was very small , uneven not up to the standard of the rest of the hotel. The room was amazing we were able to check in early upon request. Very comfy room . Staff great . Very busy over the Easter weekend . Room window was broken,causing a terrible draft. Curtains were disgustingly dirty. Also charged extra for my children’s stay. We arrived at the hotel with high expectations. Unfortunately the service was one the worst I have seen in my life. During the check-in they tried to downgrade us to a room with a twin-bed. (I was there with my wife and son) Something I never experienced in my life. When insisting they finally had a room with king size bed, as booked. Unbelievable that would lie to the customer in the first place. Breakfast was overcrowded with 10m cues until the elevator. There were also long cues at the egg station and the waffle station which is not acceptable for a 5 star property. I got the feeling that they are trying to save money at the wrong places. Very poor service by the recreation team - especially Sajna, who was not even able to smile or greet properly. Also Donald who was talking to his colleague during our checkout and not asking about our stay failed to give us a good feeling. Overall a very poor stay and no employee managed to provide good service. We will not recommend this hotel. Everything was great. 🙏🏼 I’m very happy . Breakfast area was very crowded (more of a dislike of the lack of etiquette from the other people staying, rather than the hotel). The staff did what they could to manage it though and there was a great choice of food. The lady on reception was amazing... really helpful and went above on beyond to help us out. I’m awful with names but she had a short black hair. Staff round the pool were great.. very helpful and smiley, even though it was pouring down with rain. The beds were so incredibly comfy. Hotel personnel are very kind and responsive. Special thanks to Lisa from reception who kindly replied to all our questions regarding places to visit, transportation in Abu Dhabi etc. Breakfast with wide choice. Spacious room. Pool area excellent for both adults and children. Neighborhood very nice, also for evening walks, but it is not very close to city center. Hotel stay was amazing. Special thanks to Mr. Rafif Elias for the warm hospitality and taking care of everything to make our stay comfortable and wonderful. -The worst check in experience we have ever faced, - Unacceptable clealiness of the room and the bed, - Very uncomfortable and smelly bed. - As we could not sleep because of the very poor quality mattress and smelly bed cover set, we requested the housekeeping team to replace the full set at 10 pm. With our insistence It was replaced within 30 min. After a while we experienced a very unprofessional questioning of the "night manager" who called us twice on the room line after 11pm waking up my daughter from a deep sleep.